Amish made furniture is one of the most popular styles among individuals that want to furnish their homes with beautiful, quality items. The great value, durability, solidness, beauty and expertise with which it is made, makes it unique in that it encompasses the total package. This holds true especially for Amish handcrafted furniture! Amish made furniture is great for any room in the house. This includes living room furniture, dining room furniture, bedroom furniture, outdoor furniture, kid’s furniture and almost any kind of furniture items you could think of. This furniture is made with supreme quality materials by expert Amish craftsmen. Amish made furniture is mostly valued for classic, timeless styles and longevity. There are few stores such as Amish Originals Furniture in Columbus Ohio which can provide you with multiple styles and finishes of these items. 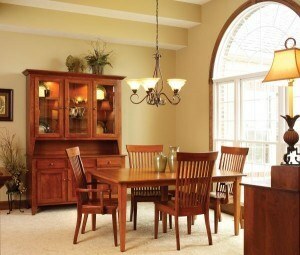 From traditional to contemporary, you can secure numerous forms of such styles in handcrafted Amish furniture. With various styles, finishes and wood which are used for making them, you have the opportunity to select the most suitable pieces for your spaces. There are numerous reasons why these furniture items are considered more impressing than others. One such reason that makes these items more intriguing is their unmatched quality. Unlike other items, they do not include any kind of laminates or particle board. Only quality, natural American hardwood is used for manufacturing these items. Amish made furniture is all handcrafted using traditional hand tools, so you’re guaranteed to get a true work of art. The best part about these Amish made furniture is that every furniture piece is made with specifically selected wood. For instance, hardwood is utilized for crafting dining room furniture while soft wood is employed for making aesthetic decoration pieces. This is what adds the beauty and unique appearance to these items. Amish made furniture offers great functionality and style to its users. It is available in various traditional forms as well such as jam cupboards, jelly cabinets and more which are great for storage purposes in dining areas. Amish made furniture is obtainable in multiple styles such as Mission style, Shaker style, Southwestern, Rustic, Cottage, Beachfront, Queen Anne style and more. You can select any of these styles to suit your tastes. Now that you have knowledge about Amish made furniture, only one thing is left. The place to purchase them! The best answer to this is Amish Originals Furniture Store in Columbus, Ohio (Click here for directions). We are the best store in Ohio which can provide you with the best Amish furniture items. We offer excellent quality items which can be viewed online at www.amishoriginals.com. Have questions about our showroom or any of our items? Contact us anytime and we’ll be happy to assist you. Be sure to sign up for our newsletter to receive the latest news and promotions.